Every year on May 1 – May Day – the South Dakota State Historical Society encourages historical societies, archives, museums and libraries to spend some time preparing their organization in the event of a disaster. The day is meant to remind heritage organizations to be prepared for a disaster and to take the initiative to plan some activities that may help their organizations in the event of an emergency. If an organization needs assistance with preparing an emergency preparedness plan they are encouraged to contact the State Historical Society-Archives at 605-773-3804 or archref@state.sd.us. 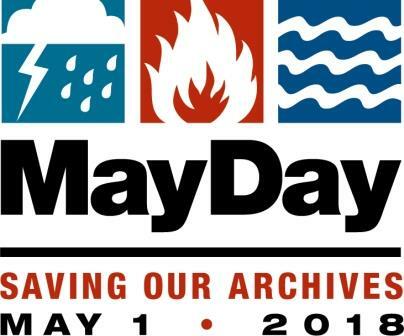 On May Day, the State Archives staff will update their response plans and check the batteries on their flashlights to ensure they are working correctly. State Historical Society staff are updating the emergency preparedness plan to correct any outdated information. “These are actions that we can take without the whole process becoming overwhelming,” Somsen said. For more information, contact the State Historical Society-Archives at 605-773-3804 or archref@state.sd.us. State Archives hours are 9 a.m.-4:30 p.m. CDT Monday-Friday and the first Saturday of most months.